During your Invisalign treatment, you will wear each clear aligner for about two weeks. But don’t be fooled, this is enough time for bacteria and plaque to grow on them. Our dentists share some tips about how to care for your aligners and keep bad breath under control during your treatment. If you avoid caring for your Invisalign clear aligners it can cause issues like bad breath, discolouring of the plastic aligners and even problems with your overall oral health. To ensure you're getting most out of this orthodontic treatment, and to curb embarrassing bad breath, be sure to follow these tips from our dentists. Always brush and floss after eating. If you put your aligners back in before brushing, you can trap any food particles and bacteria that are still in your mouth under the aligners. This can create issues with bad breath and eventually lead to oral health issues. Only drink with your aligners in. You may drink water with your aligners in, but it is always best to remove them before drinking anything else. Hot beverages can warp the plastic and dark beverages, such as red wine or colas, can discolour the clear aligners. Never use a toothbrush and toothpaste to clean your aligners. Be sure to clean your aligners with a mild, anti-bacterial soap. This will ensure they remain fresh and free of bacteria that can be harmful or smell bad. Avoid smoking with your aligners in, or plan to quit altogether. The chemicals in cigarettes will cause the aligners to become discoloured, and they can retain some of the smell. 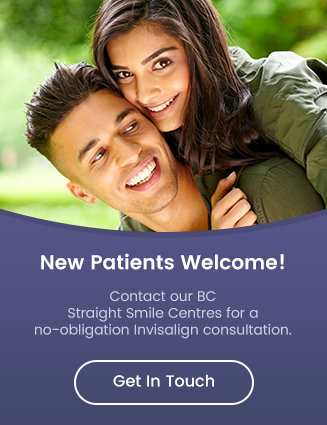 If you're interested in learning more about Invisalign, contact a Straight Smile Centres member practice today!